Whatever type or line of business you are, the possibility of an accident or damage to someone's health is always present. All workplaces expose people to various hazards such as: heavy loads that have to be manually handled, high risk machinery, toxic substances, dangerous goods, electricity and even psychological hazards such as stress. It doesn’t matter what work you are in, it matters to reduce any risks of injury and illness at work. 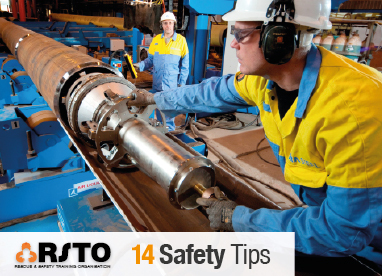 Here you can find 14 tips to help you make your work a safer place. 1. Know the risks. 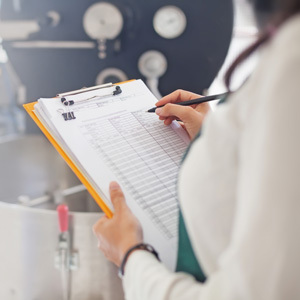 In order to take the necessary steps to reduce risk of work-related injury or illness you must be in a position to know, understand and recognize the possible hazards of your job or workplace. 2. Reduce stress at your work place. The main reasons for stress at your workplace are long working hours, heavy amount of work, job uncertainty and conflicts with colleagues or persons in charge. Stress can have many negative effects such us depression, sleeping difficulties and reduce your ability to concentrate. 3. Sit straight and correct. Make sure your furniture and equipment are ergonomically designed and arrange your workstation area or office so that everything you need is within easy reach. 4. When possible use mechanical aids. Do not try to lift or carry heavy objects, instead use a wheelbarrow, conveyor belt and crane or forklift accordingly. 5. Protect your back. Whenever you need to lift and carry heavy loads, make sure to keep the load closer to your body and lift using your thigh muscles. 6. Wear the proper protective equipment for the task. When worn correctly, protective gear like earmuffs, earplugs, protective hard hats, goggles, gloves and full-face mask can greatly reduce your risk of injury. 7. Always be sober. Intoxication from alcohol and drugs are a major factor of workplace deaths. 8. Express any concerns. Your employer or human resources manager must be informed about any possible or existing hazards and risks. Your employer is legally responsible and obliged to provide a safe working environment. 9. Get proper training. Learn how to recognize hazards, manage risks and do job in a safe manner. 10. Ask questions. If you are unsure about anything at your work, always check with supervisors and colleagues. 11. Always follow the safety rules and procedures. Pay serious attention to the rules of safety and procedures presented to you by a work manual, posters and signs. 12. Report all injuries. Whether a minor or major injury, any incident must be reported to your supervisor. 13. Look out for and report hazards. If you become aware of any a hazard, you should immediately report it to your supervisor. 14. Rest well before going to work. Tiredness can lead to low concentration at work and even lead to dangerous mistakes and risks. Official Web site of RSTO, RESCUE & SAFETY TRAINING ORGANISATION © 2017 All rights reserved.